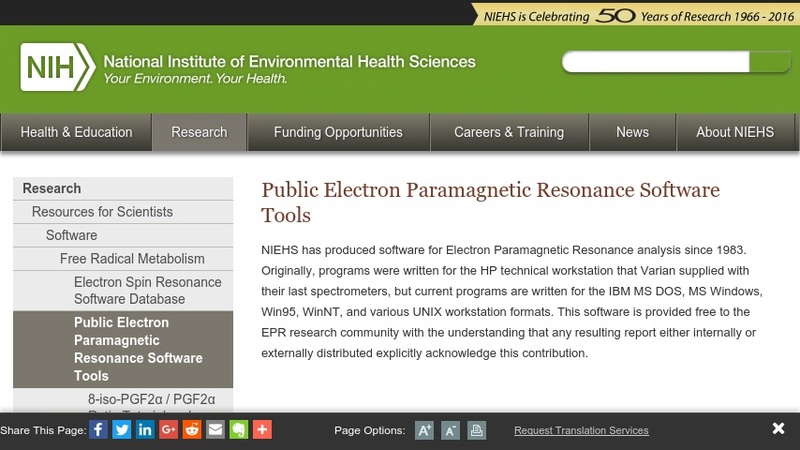 NIEHS has produced software for Electron Paramagnetic Resonance analysis since 1983. Originally, programs were written for the HP technical workstation that Varian supplied with their last spectrometers, but current programs are written for the IBM MS DOS, MS Windows, Win95, WinNT, and various UNIX workstation formats. This software is provided free to the EPR research community with the understanding that any resulting report either internally or externally distributed explicitly acknowledge this contribution. DOWNLOAD THE [WinSim.zip] FILE.